Kim Atkinson is an artist with a particular interest in birds, plants, insects and interactions of species within habitats. She uses a variety of media including printmaking and painting, her studio work usually being developed from drawings of subjects and experiences of nature in her garden, on the cliffs near her home, and at times under water while snorkelling. Her art education was both in painting and later in natural history illustration, resulting in an MA at the Royal College of Art. She has participated in Artists for Nature Foundation projects around the world, and she regularly exhibits work at the Society of Wildlife Artists, of which she is a member. Her work also appears in several anthologies of Wildlife Art, most recently Wildlife in Printmaking (Langford Press, 2011). 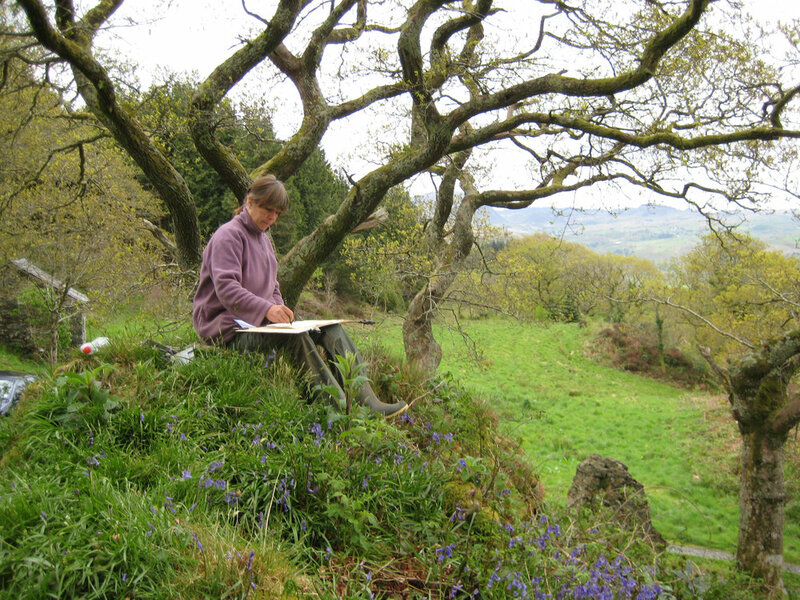 From 2008 to 2010 she collaborated with Noëlle Griffiths to make the art book Bird Song in which the artists made a visual and written response to the soundscapes of two very different landscapes in North Wales. This and other work can be viewed at www.oriel.org.uk.